The Minister of Planning, Dr. Nouri Sabah Al-Dulaimi, announced the completion of the reconstruction platform, which will include full and detailed data on the reconstruction projects and the international financial obligations of grants and loans, pointing out that the work of the platform will begin in early February, in Arabic and English, with international participation. 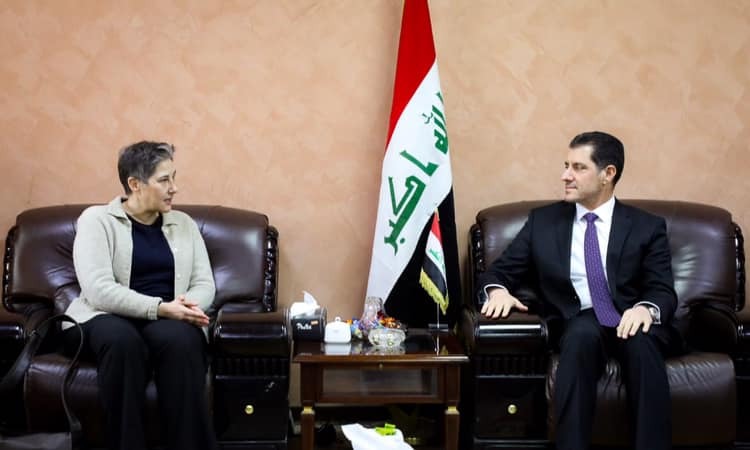 This came during a meeting with the Minister of Planning, Marta Ruids, Deputy Special Representative of the Secretary-General of the United Nations and Humanitarian Coordinator for International Organizations in Iraq, and the delegation accompanying them. During the meeting, they discussed the international efforts in the files of the reconstruction and reconstruction of liberated areas . Dr. Al-Dulaimi said during the meeting that the focus of efforts and upgrading the level of cooperation with international organizations would help the Iraqi government to implement reconstruction programs and stability in time, pointing to the government's tendency to simplify the procedures for granting visas to international companies wishing to implement infrastructure projects, Education, health and housing projects. The international community should support the programs and plans announced by the Ministry of Planning, particularly the five-year development plan, the poverty alleviation strategy and the private sector development strategy. Areas liberated for continuous support, and implementation of small and medium-sized enterprises to support the youth segment. Mrs. Marta expressed her high appreciation for the efforts of the Ministry of Planning, which contributed to overcoming many of the obstacles that hampered the work of international organizations in Iraq, stressing the readiness of the United Nations Mission in Iraq to support the Ministry's plans according to priorities set by the ministry, while continuing efforts to support the return of all Displaced people to their areas and provide them with jobs.